Open Championship - live stream, odds, results, stats and fixtures! The Open Championship, also known as The Open or the British Open, is one of the four majors. It’s the oldest tournament out of the four, and has been arranged since 1860. The other three majors are held in the US, while The Open as an exception is held in the UK. 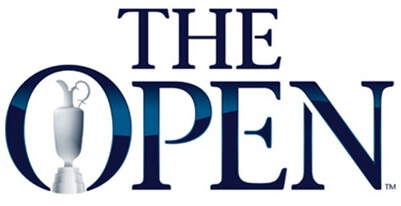 The Open is currently the third tournament in the majors, in between the US Open and the PGA Championship. The 2019 Open Championship will be the 148th annual championship to be held. The dates for the tournament are set for July 19-22. As usual the Open Championship will be arranged by Royal Portrush Golf Club in Antrim, Northern Ireland. Francesco Molinari is the defending champion after the 2019 Open Championship. According to the early winner odds from Unibet, the odds for him to defend his title is 25/1. The odds are however very likely to change quite a bit as the tournament approaches! The Open Championship is always played around the middle of July, and this year the tournament is scheduled to the 18—21 July. Here at Odds Expert you will find the schedule for the tournament, along with statistics and the best offers from the betting companies! We also have a page complete with all the results! Live streams from the Open Championship is usually available at betting companies such as Bet365 or Unibet. Through them, you can watch the tournament live for hours and hours. The live stream can really bring an extra dimension to the game if you’ve placed a bet on one it. So we do recommend that you give it a try! In order to watch live streaming from a betting site, you need to have a registered account. On most sites you will also need to have a positive bank balance. When you’ve fulfilled these to simple steps, you’ll get access to all the available streams on the site! The winner of the Open Championship will automatically receive invitations to play the other three majors for the next five years. These include Masters, the U.S Open and the PGA Championship. The prize of the Open is the Golf Champion Trophy, better known as the Claret Jug. The champion also receives a gold medal which they get to keep permanently. The Claret Jug can be kept until the following year’s championship, where the winner will personally bring it. Harry Vardon is the player that holds the record for the most Open Championship titles in history. He managed to win the British Open a total of six times. Swedish player Henrik Stenson broke the record of most strokes under par for 72 when he won in 2016, with 20 under par.